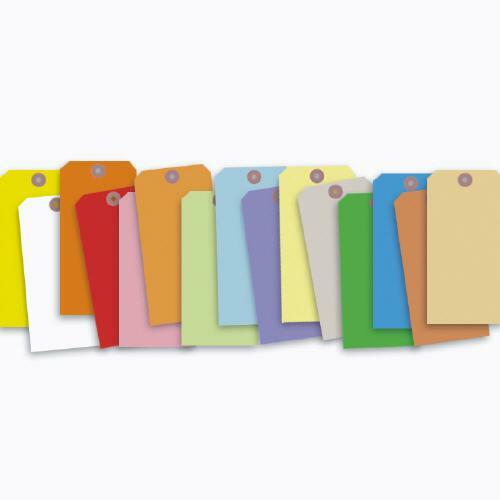 Home :: Labels & Tags :: Colored Tags :: Colored Tags With Wire Or String 5 3/4 X 2 7/8"
Colored Tags With Wire Or String 5 3/4 X 2 7/8"
Size: 5 3/4 x 2 7/8"
Can be used for shipping, labeling, inventory control tasks, retail sales, administrative assignments, keeping track of personal items etc. We ship to all major cities including New York, Houston, San Antonio, Los Angeles, Atlanta, Etc. Colored Tags With Wire or String 3 3/4 x 1 7/8"
Colored Tags With Wire or String 2 3/4 x 1 3/8"
Colored Tags With Wire or String 4 3/4 x 2 3/8"